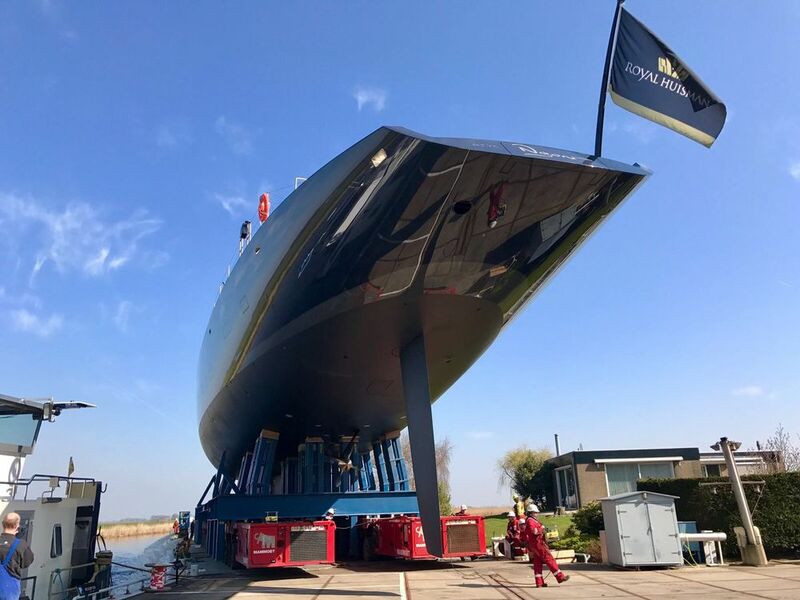 Royal Huisman, the renown Netherlands based superyacht builder known for its exceptional sailing vessels launched the 58 meter sloop Ngoni last week. Ngoni was designed by the late Ed Dubois and will rank as one of the world’s largest sailing yachts upon its completion and delivery. While under development Ngoni was referred to as “The Beast” because the buyer wanted Royal Huisman to build a beast capable of consistently delivering exhilarating sailing experiences. All early indications point to Ngoni living up to those expectations. 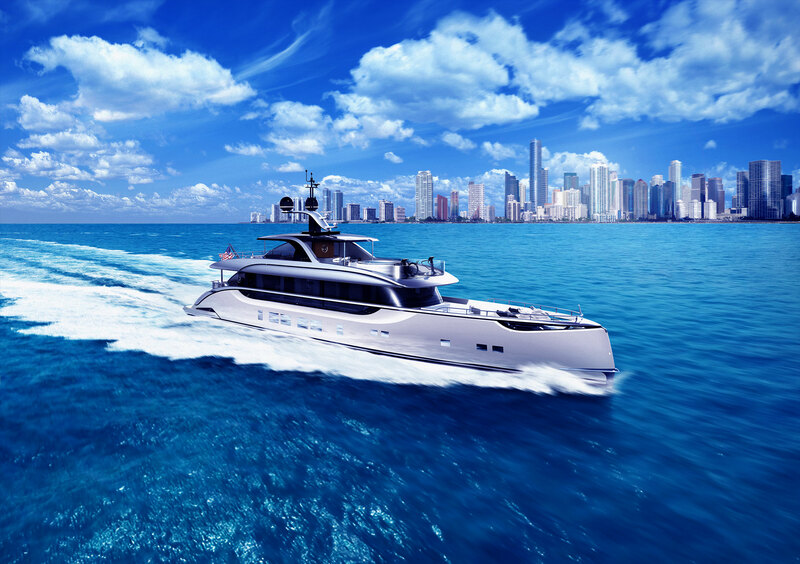 The Ed Dubois designed aluminum hull will sail at up to 17.5 knots providing exhilarating performance that is balanced will all the amenities of a superyacht. Rick Baker and Paul Morgan collaborated to create the interior design which includes a large master suite and two additional guest staterooms. The owner’s suite includes a gym, office/study area and steam room. There is also a tender garage and spa pool on board. 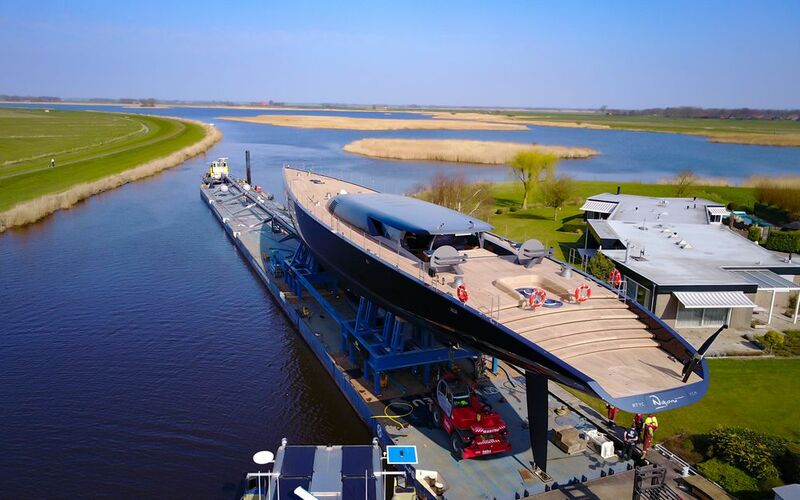 Ngoni is currently en-route to Royal Huisman’s Holland Jachtbouw shipyard in Zandaam where the 71 meter carbon fiber Rondal mast will be stepped. Additional performance and cruising features include a lifting keel that can reduce draft by up to three meters and flush deck furling equipment to ensure the headsail receives an unobstructed flow of wind.